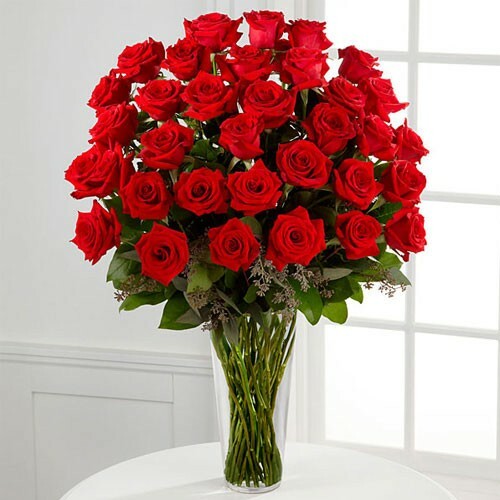 Nothing speaks of love more than a stunning bouquet of 36 gorgeous red roses. Tastefully arranged with greenery in a classic glass vase, this bouquet is a gift to her heart from yours. Triple the effect of your statement.